As interest and investment continue to pour into the online education market, startups building platforms with a lot of traction are reaping the rewards. 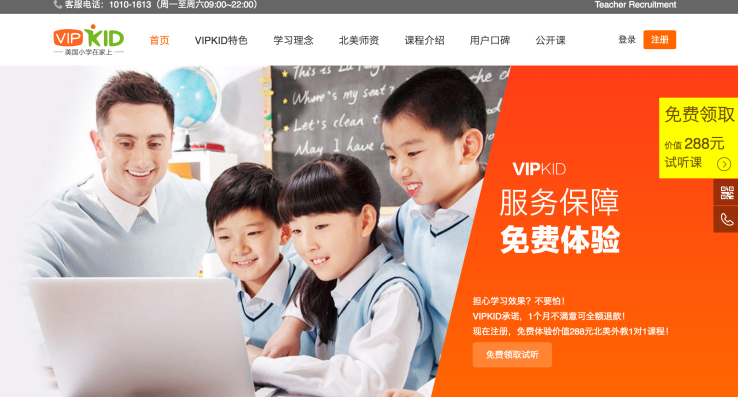 In the latest development, a company out of China called VIPKID — which has built a popular platform connecting children aged between five and 12 years with native English speakers for one-to-one online language lessons — has raised $100 million in funding. You may not have heard much about VIPKID in the West. That may be because, for now, its target market is China, where VIPKID is filling a hole: upwardly mobile parents want their kids to learn English with native speakers, and there just aren’t enough English teachers of that kind to go around in the country. “The rapid spread of broadband in China has made it possible to bring one-to-one English and broader curriculum learning directly to families throughout the country at an affordable price level,” said Cindy Mi, founder and CEO of VIPKID, in a statement. VIPKID says that it has been growing at 10x year-over-year, and it now has half a million registered students in China and some 3,000 instructors on its platform. Instructors are based mainly in the U.S., but also Canada, Mexico, UK, Germany, Italy, Spain, Costa Rica, Dominican Republic, and East and Southeast Asia. VIPKID says its instructors are typically teachers and other professionals who are putting in hours at VIPKID as a way of earning a little extra money (which makes VIPKID an interesting twist on the collaborative consumption model where people earn extra money by signing on as cleaners or drivers for other kinds of on-demand startups). The Series C round comes from a list of notable investors that includes Yunfeng Capital (the firm co-founded by Alibaba CEO and founder Jack Ma), previous investor Sequoia, and, it seems, at least one other Silicon Valley VC close to the education space that is not yet being disclosed. VIPKID said it will be using the funding to grow its business, acquiring more users in the 5-12 year-old age group in China wanting to learn English, and finding more people abroad who would like to teach them. VIPKID says it’s currently adding 1,000 new instructors each month. VIPKID appears to be growing fast despite the fact that there is a lot of competition. Today, there are dozens of startups that use technology to help people learn languages outside of traditional, physical classrooms. In addition to legacy software from companies like Rosetta Stone, there is a new generation of mobile apps like includes the likes of Monkimun; software that taps machine learning and AI to provide an interactive, customized learning experience; and even early attempts at chat bots to pick up languages. VIPKID — as with its most direct local competitors, ABC360 and VIPABC (which, in a bit of a twist, counts Alibaba as an investor) — is tapping into tech, too, but it also keeps actual humans at the core of the experience. The company eschews services like Skype and instead has built its own videoconferencing platform that it uses for one-to-one sessions (no group learning) between students and teachers. And it has crafted its own language learning curriculum, based on U.S. Common Core State Standards and a “flipped-classroom approach,” (that is, homework includes lectures that you watch, and class time is used for more interactive activities).  It also integrates other innovations such as gamification. And while VIPKID is now starting to introduce mobile apps, it has built its business primarily around desktop browsers and broadband. Although a number of e-learning services attract users with a freemium or low-cost model, VIPKID takes a different approach here, too. It offers a single free trial lesson, but for anything more, it charges by 30-minute sessions, at a fee of 288 yuan ($43) a pop. Teachers — who must pass a set of relatively stringent requirements to qualify — in turn are paid between $7 and $11 per half-hour session, depending on experience, attendance and finishing classes. Over time, it sounds like the plan is to enhance the learning platform and expand to more subjects and geographies, but for now, there is still growth to be found in VIPKID’s current target audience. To learn more on English Tutoring Positions kindly fill out this inquiry form.